The biggest holiday of the year is literally around the corner. If the end of year wrap-up has left you little or no time to get everyone you love something cute, don’t worry. You’ve still got a bit of time to finish that list. And if you’ve been stuck at the office like me or rightfully fear the large Christmas shopping crowds, doing it online is the safest bet at this point. We all love Clicks and their fabulous deals, right? Well, this year they’ve gone big and have specials running across a wide range of categories to make sure we have something for all the special ones in our life. They’ve made it fast, easy and convenient with their online store, plus they’ve given us options on how to get our orders via door to door delivery, or collect in store. 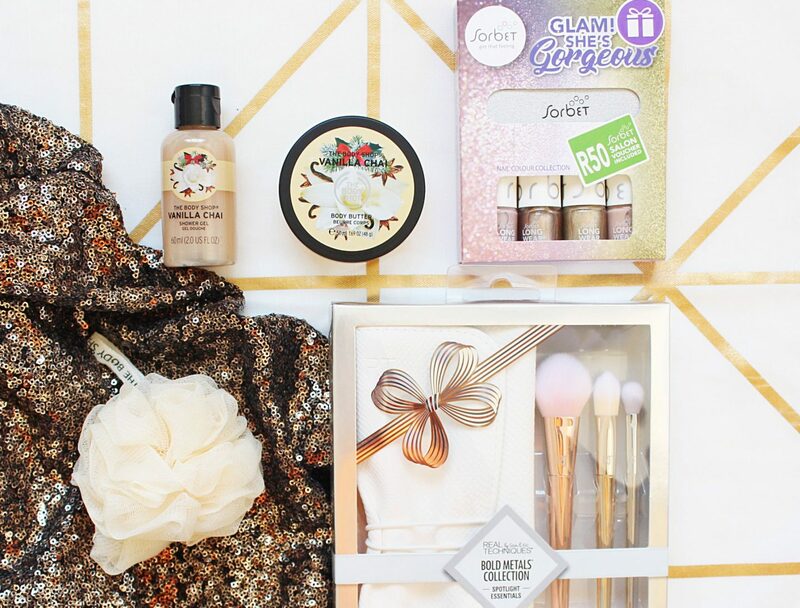 Which girl doesn’t appreciate a pretty gift set? The options at Clicks are amazing – from little mani sets like this very festive one from Sorbet, to the classic The Body Shop great smellies and this gorgeous set of brushed from Real Techniques – perfect for the beauty junkie. All gift sets are part of their infamous 3 for 2 deals. Yes, all gift sets. So you can spoil your one bestie with a ton of them, or get multiple ones to spread across your whole group of friends. I’m spending this Christmas with the other side of my family, so this hair straightener by Revlon is the perfect gift for my sister-in-law’s long locks. It’s currently on special with 20% off the normal price. My mother-in-law swears by gentle haircare on her thinner hair so I’ll be giving her the Noughty Leave-in Conditioner (3 for 2 deal) and the Dry Shampoo by Colab as part of her set of pressies. Also part of the 3 for 2 gift sets is some amazing manly hampers for the man in your life – be it your hubby, boyfriend, dad or brother. Clicks has the top designer fragrances and manscaping tools for the groom-conscious man. I grabbed the Sorbet Beard Oil for Kev, perfect for him to treat his face fur to! If Christmas deals weren’t good enough, Clicks is also still running their Summer beauty fair. 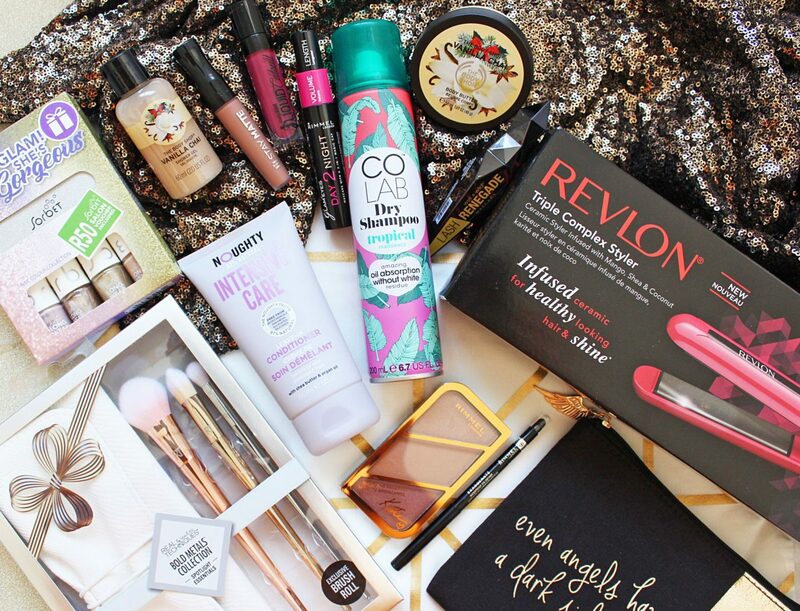 So you can get a whole bunch of beauty goodies to make sure your look is holiday ready. The end of the year means so many parties, lunches, dinner and drinks soirées. I always love grabbing a couple of new items to feel cute and reign in the new year with a bang. WIN A R1000 Clicks Gift Voucher! Now it’s your chance to splash on the Clicks website. With it being the season to give, one lucky follower of mine will be gifted an online gift voucher worth R1000 to spoil herself and others, courtesy of Clicks! In the comments below AND on my Instagram, tell me what your fave product is from the above list of goodies. Only answers submitted on both the blog and Instagram will be valid. One (1) winner will be chosen by Clicks. A Clicks representative will send the winner their voucher code via Instagram Direct Message. 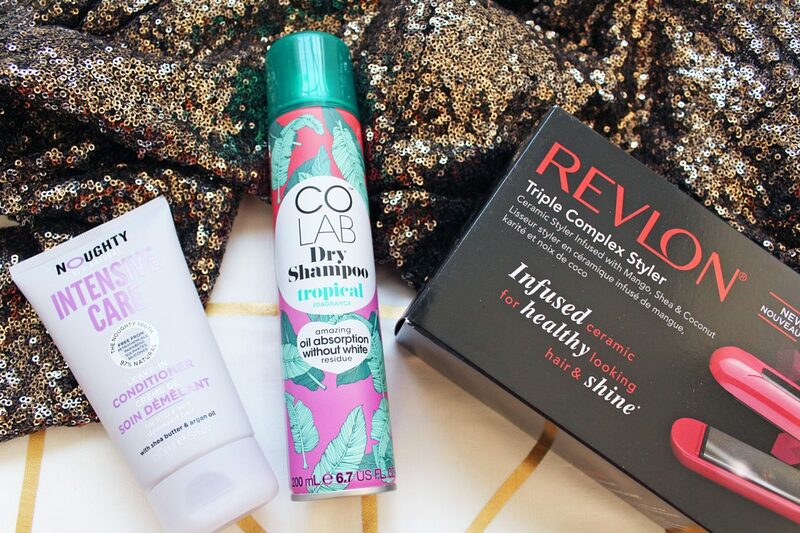 The Colab Dry Shampoo is a must for this hot summer days! Definitely the Revlon styler. My one broke so I’m without one. Agh. I am so into the Real Texhniques Brush set. Sooo need this…. The real techniques brush set is absolutely stunning! Definitely catching my eye😍😍! I would to own the Revlon hair straightener. My locks definitely need some taming!! Love the Rimmel Kate Moss bronzer! 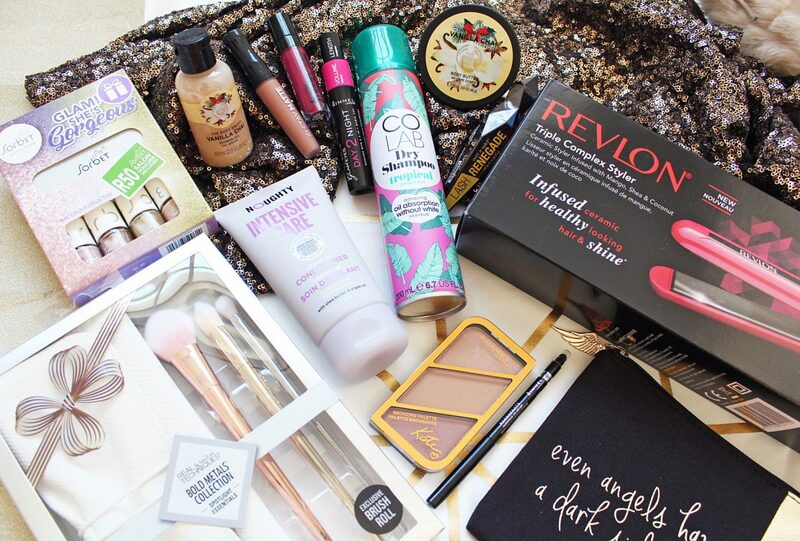 Thanks for sharing your shopping haul with us! My favourite has to be the Wet n Wild Liquid Catsuit. I’d love to get my hands on the Sobet nail colour gift sets and the Real Techniques brush sets for my Glow Up arsenal. I love the splash books. My niece really enjoys hwr bath time and because we all like to read in my family, she’s always eager to imitate the action. What better gift for her, than one that permits her to still enjoy her bath but also encourages her to love books. The real techniques brush set. Yes puhleeeez. Clicks promotions are always on point! I love the look of the Sorbet Nail polishes! I think the Co Lab tropical dry shampoo is a fav as it suits a busy hectic mom like me, eish! Love the real techniques brushes too! I absolutely love the Rimmel Kate Sculpting bronzer…it does the things. The Noughty intensive care conditioner works wonders for my curly and sometimes unmanageable hair ! Fingers toes and legs crossed for this amazing prize ! I love the Dry shampoo. I have extreme oily hair and always spend mornings washing my hair. However with the dry shampoo I can now spend more time perfecting my make-up. Hey Aisha. For me it’s the Revlon triple complex styler for my weave during those protective style days (cornrows). Gives the versatility to have differest styles whilst my natural hair relaxes and breathes underneath😎. Mani sets from Sorbet😍😍 love them!!! And also long lasting. 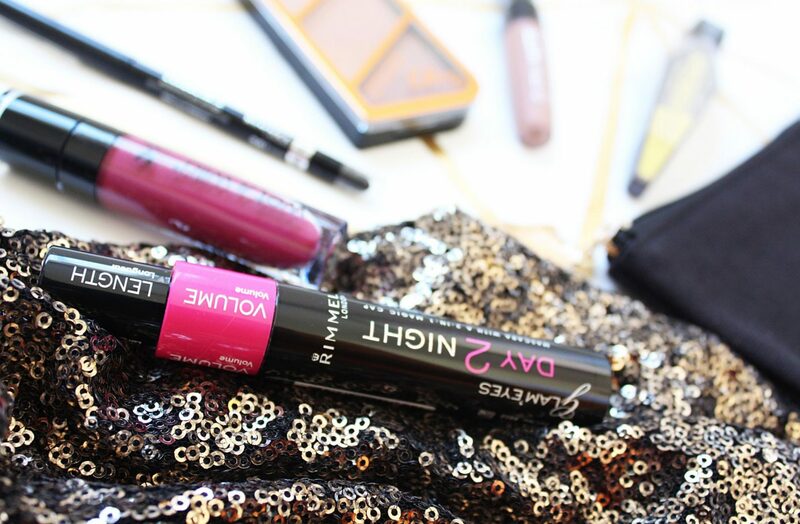 Rimmel Day 2 Night mascara is my absolute fav! The Body Shop great smellies, especially their Body Butters!!!! Rimmel Kate Moss bronzer, can’t live without a highlighter, going to glow even more on xmas! The Body Shop products please. Love the Revlon Triple Complex styler for my daughter, hugo boss for hubby and wet n wild 3 for 2 products for myself. The Real techniques bold metal collection brushes, this is a must have for me. I love some many items on your Christmas wish but since I have to select one item. I am in love with the Real Techniques Bold Metals collection brush set. Since sorbet is the ONLY product that doesn’t give me excema I’m a HUGE fan to ALL of their products from nailclippers to bodywash so I would love to treat myself with more of their products aswell as my beautiful mom who works hard to always devide herself between 5 children which 3 of them are still very young (8,10,14) i would love to treat with bodyshop products she siimply LOVE them !!!!! The real techniques brush set is absolutely stunning! Love the Sorbet gift sets! I love so many things on the list, however, with our little one one the way the splash books are my favourite on the list. I’m all about encouraging learning through play, especially in the early years.